Anthony Eleftheri has worked with and protected the brands of Fortune 500 companies as well as “mom & pop” businesses and individuals in Federal and State Courts. Anthony’s litigation experience includes foodborne illnesses and related liability, trucking accidents, construction, product liability, fire, premises liability, and assisted living facility litigation. Anthony is a registered mediator, is admitted to the U.S. Supreme Court and has handled and briefed matters before the Indiana Supreme Court and the Indiana Court of Appeals. Anthony graduated from Indiana University, Bloomington, Indiana with his B.A., in 1993 and from Indiana University Robert H. McKinney School of Law with his J.D., in 1996. He was admitted to the Indiana State Bar in 1996 and practices in the Supreme Court of Indiana, U.S. District Court Northern & Southern Districts of Indiana. Anthony is a member of the Defense Research Institute (DRI), Defense Trial Counsel of Indiana (DTCI) and was recently selected for membership in the National Retail & Restaurant Defense Association (NRRDA). 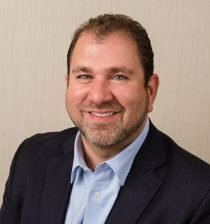 Anthony is also a member of the Indiana and Indianapolis Bar Associations, and is currently serving on the Executive Board of the Alternative Dispute Resolution Committee of the IBA. He has earned an AV Peer Review Rating from Martindale-Hubbell. Anthony has been recognized as an Indiana Super Lawyer in the Practice Area of Personal Injury-General: Defense for 2017, 2018 and 2019.